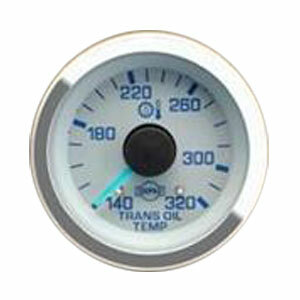 ISSPRO R6756 Transmission Temperature Gauge reads from 140°-320°. 2-1/16" diameter. We include a 1/8 NPT sending unit with this gauge so you do not have to source this part separately. "Man I couldn't say enough about the quality of the product I bought from Geno's Garage. I ordered sway bar end links for my Cummins yesterday and they were on my front porch this morning and I picked standard shipping and I didn't even pay for upgraded shipping."